America has a skilled work force. 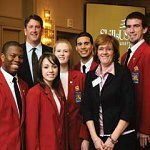 SkillsUSA helps each student excel. leaders and responsible American citizens.